Xyron and DCWV have teamed up for this collaboration post. DCWV sent the Xyron Design Team a 12x12 Premium Stack (pad) of beautiful, colorful papers - including some sheets with foiling. I received Electric Jungle. 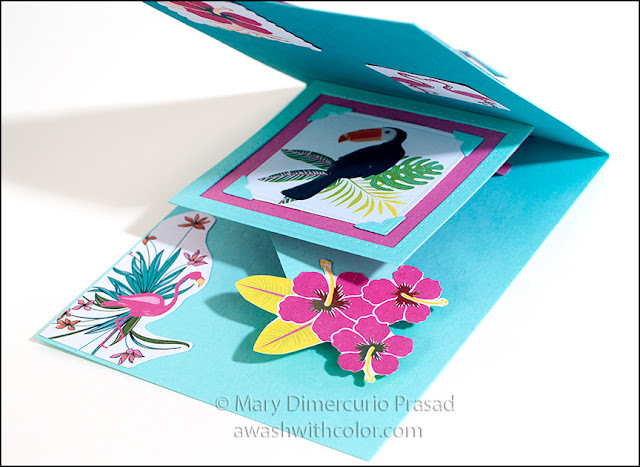 The tropical theme prompted me to look for my layering flamingo stamps by Hero Arts, which coordinate perfectly with these papers. 1. Cut Robin's Egg Ombre cardstock 4 1/4 x 11 inches; fold in half with the darkest shade at the inside top of the card to form a 4 1/4 x 5 1/2 inch card base. 2. Stamp flamingo layers (Color Layering Flamingo) on smooth white cardstock (I used X-Press It Blending Card). 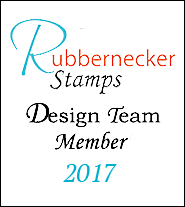 I highly recommend using a Stamp Platform or stamp positioner. I used the following inks for the flamingo: Angel Pink (body), Pink Peony (body feathers), Vibrant Fuchsia (body shadows), Tuxedo Black (eyes/beak). Note: the inks are pictured two photos below. For the legs, I stamped first with Angel Pink then dabbed just the knees and feet with a little Pink Peony and stamped again. 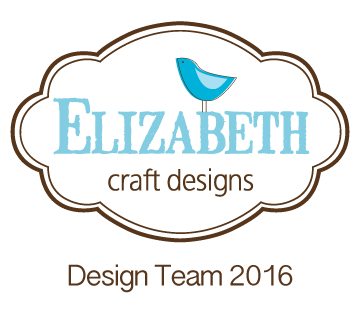 Die cut image using 2nd largest Nested Oval Small Stitch Die. 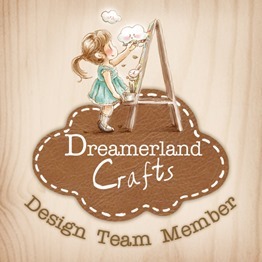 Die cut pink cardstock with largest Nested Oval Small Stitch Die. Add Clear Wink of Stella to flamingo. 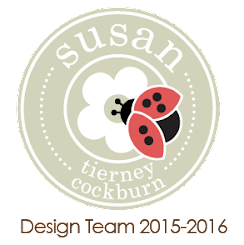 Die cut white foam sheet with 3rd largest Nested Oval Small Stitch Die. Set these aside for now. 3. Find the above pictured papers from Electric Jungle (I cut the "paradise" piece out of the page rather than taking out the entire sheet). Cut water background sheet to 4 x 5 1/4 inches. Cut pink flamingo sheet to 1 7/8 x 4 1/4 inches (I cut mine such that 3 lines of flamingos were included). 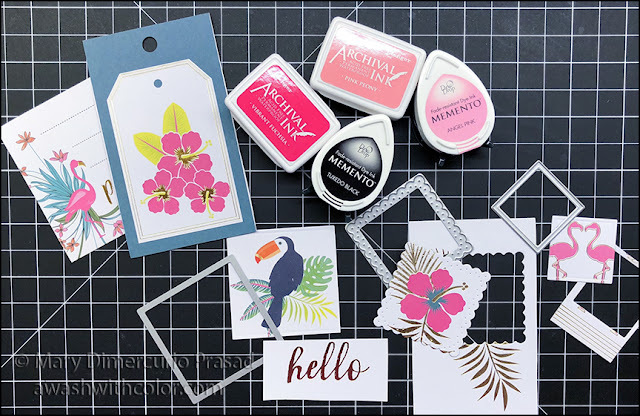 Cut out tag with toucan and "hello;" carefully cut straight across close to top of "hello" word (photo below) and trim to a rectangle for use on front of card. Cut a small piece of Robin's Egg Ombre cardstock a little larger than the "hello" - use the back side. Use ink blending tool and foam to blend the bottom of the "hello" with Picked Raspberry Distress Oxide Ink and the top with Worn Lipstick*. Wipe gently with a clean dry paper towel to remove any excess ink from foiled letters. *In hindsight, I probably should have used Memento Angel Pink instead of Worn Lipstick. 4. See above photo. Fussy cut around flower trio and leaves (from tag with blue/green background); cover with Clear Wink of Stella to give it some shimmer. 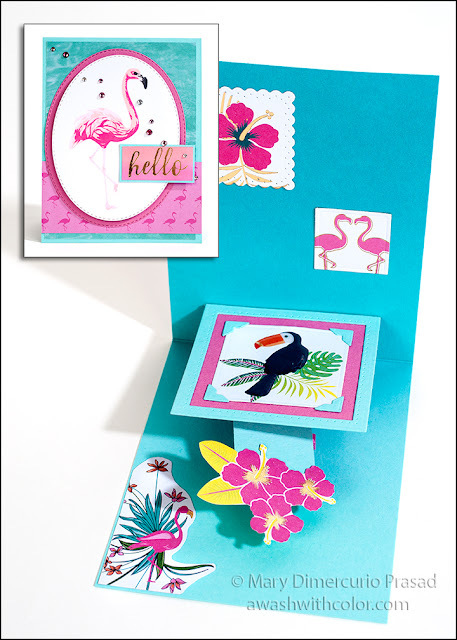 Using dies from Spinner Square Pop-up, die cut flower from label using scalloped square, two flamingos facing each other with small square, toucan with medium square, and mini corners from Robin's Egg Ombre cardstock (back side). Use Wink of Stella on toucan. Cover toucan with Glossy Accents and set aside to dry. Cut around flamingo with gold foiling from label with "paradise" - I cut away the word as well; see photo below. Partially open card; note flowers moving around from right side. 5. Watch the following video for creating the Spinner Square Pop-up. The rest of the pieces for the card are listed below the video - I recommending watching first, cutting the rest of the pieces as described below, then watching again while assembling the card in the order described below the video. Die cut pink cardstock with large square die for platform. 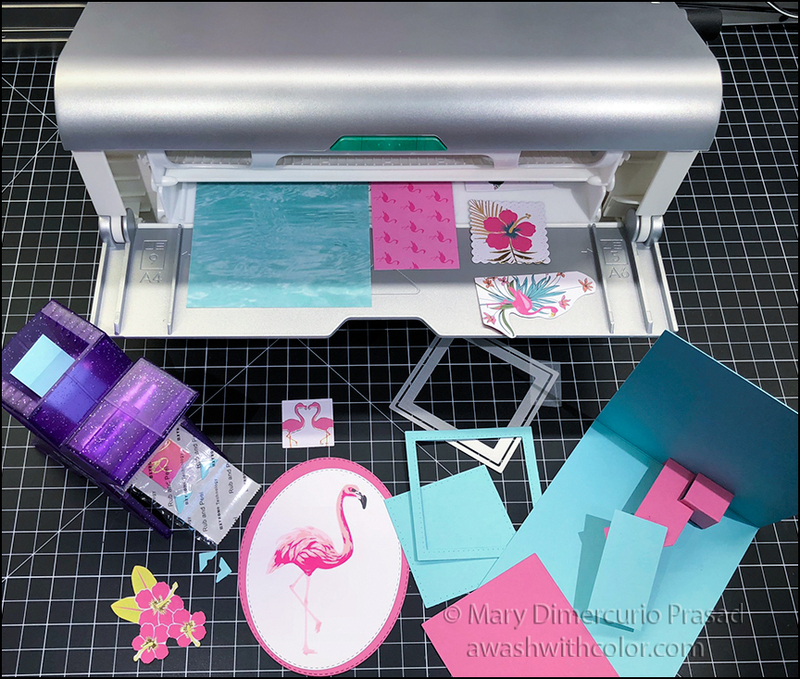 Create a frame of the same size from back of Robin's Egg Ombre cardstock by using two square dies (one with piercing) as shown in video - use removable tape or Post-It tape to hold them together while running them through die cutting machine (pictured two photos below). Die cut and assemble arm (I cut it out of pink cardstock since it wasn't as stiff as the Robin's Egg Ombre cardstock). Use glue as shown in video to adhere to card base - I put it slightly to the right of middle. Die cut Robin's Egg Ombre cardstock (back side) with rectangle for moving piece, glue to moving section as shown; note: I put mine at a slight angle since I wanted to have the flowers centered under the pop up platform when the card was open at 90 degrees. Glue flowers to arm - first you may want to trim the rectangle a bit so the flowers will be closer to the platform (I didn't do this, but wish I had!). 6. Use 9" Creative Station to apply Permanent Adhesive to larger pieces: stamped flamingo, pink oval, foam oval, water background piece, 3 rows of flamingos piece, frame, toucan (be sure it is dry! 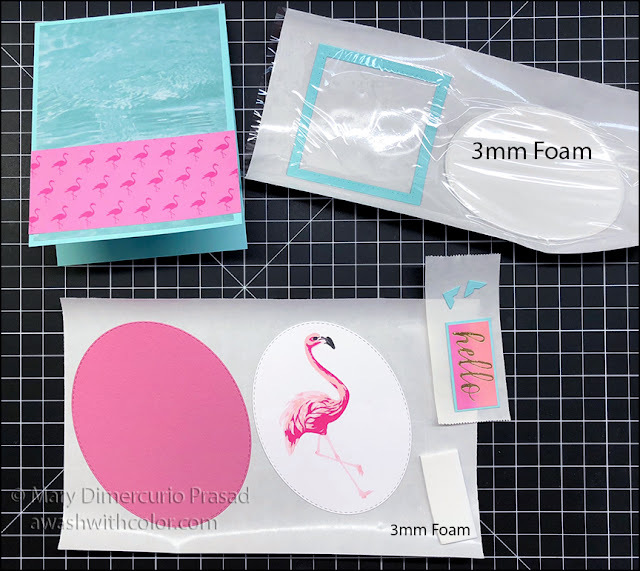 ), a small rectangle of foam (to go under "hello"), scalloped flower square, and flamingo from label (with foiling), See the two photos below. 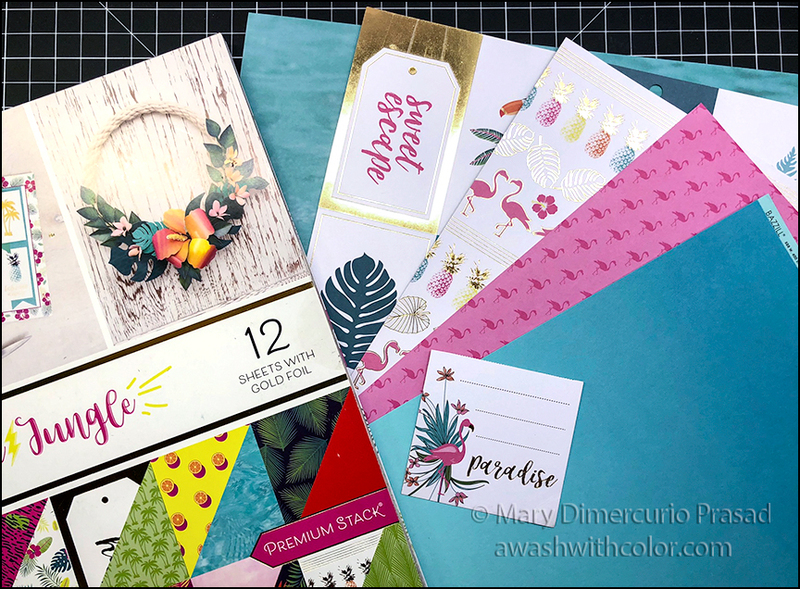 Use the 1.5" Create-a-Sticker for the small pieces: "hello" and it's rectangle mat, small flamingo square, and small photo corners. Stick inked "hello" to its mat. Adhere water background to front card base (see below photo). Adhere pink paper of flamingos in rows near bottom but allow a little of the water background to show below it. Peel up stamped flamingo and place it on foam oval. 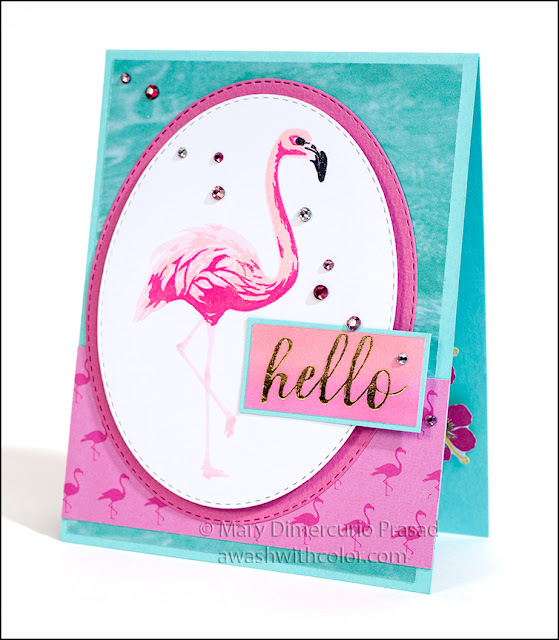 Place these on pink oval; adhere to front of card such that the pink oval is touching the left side and slightly below the water but above the edge of flamingo papers (see card front photo, two below). 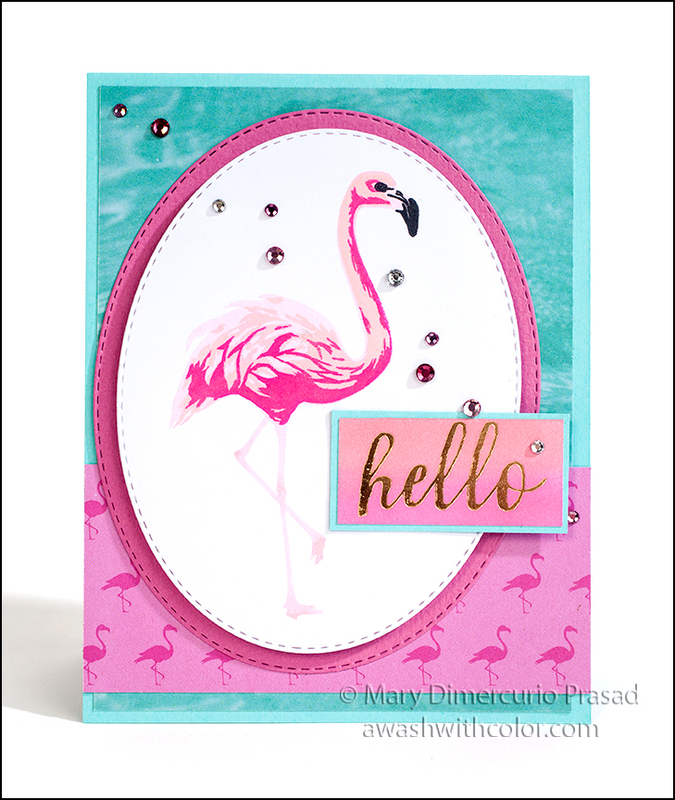 Lightly adhere "hello" where shown, overhanging stamped flamingo oval. Cut a small piece of foam rectangle with adhesive to fit overhang of "hello" and stick under it for support then rub gently to press down. See photo of inside of card, three above. Adhere frame to large pink square for platform. Adhere toucan and mini photo corners as shown. Center this in card and glue on pop-up platform. 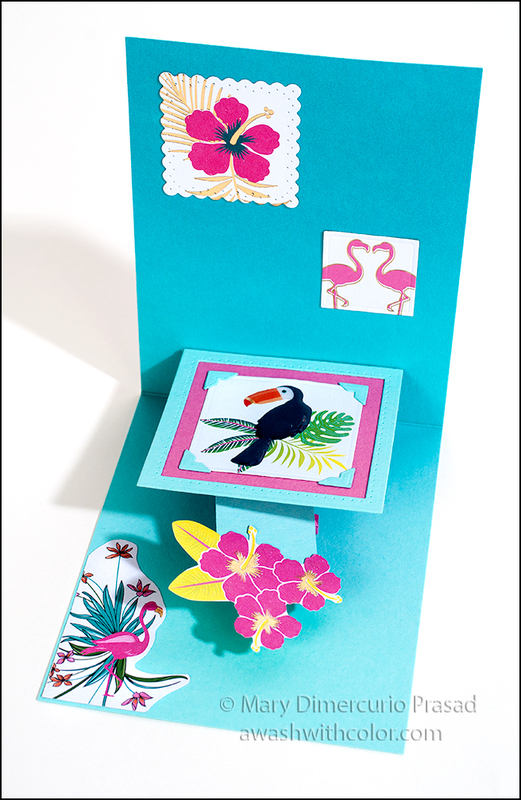 Adhere scalloped flower square, small square with two flamingos, and flamingo with gold foiling where shown. Adhere rhinestones to front of card as shown in photo below. Follow my blog with Bloglovin so you won't miss any of the tropical fun! WOW! 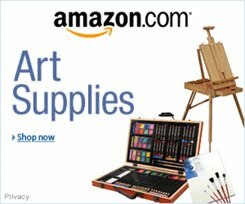 I picked up so many great tips from this. I am just starting to buy some dies and you showed using them to cut out specific areas of decorative card stock. Love that. Cutting the foam backing with the dies, too. I have to get my Xyron machines back out. Haven't used them in a while either. Thank-you.